Whether you're at home or at work, you might not want other people snooping on your Mac when you step away. Leaving your Mac unlocked and unattended allows others nearby to read your emails, text messages, browser history, and all your files. You may be researching gifts for your family, or you may be working on a project in your office that is for your eyes only. 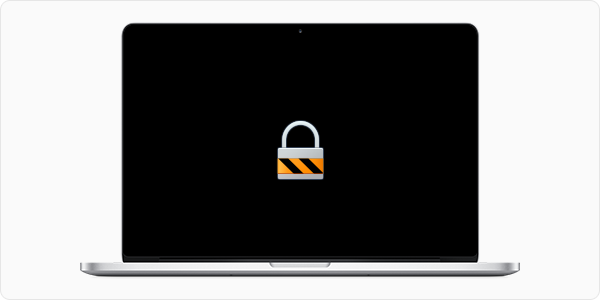 In any of these cases, when you step away from your Mac — whether for a meeting or to go make a cup of coffee — it's a good idea to lock your Mac screen. You don't need to shut down your Mac, you don't even need to log out. There are several ways you can quickly lock your screen and protect your Mac from prying eyes, so no one can access your data without entering your password. It only takes a second, and a keypress or a swipe of your mouse, so it's worth learning how to do this. By default, your Mac's display goes dark after a few minutes of inactivity. This time is set in the Energy Saver pane of System Preferences. When this happens, if you press a key on your keyboard, move your mouse, or tap your trackpad, the screen brightens again. But if you make a small change to a security setting, no one can access your Mac after waking up the display without entering your password. 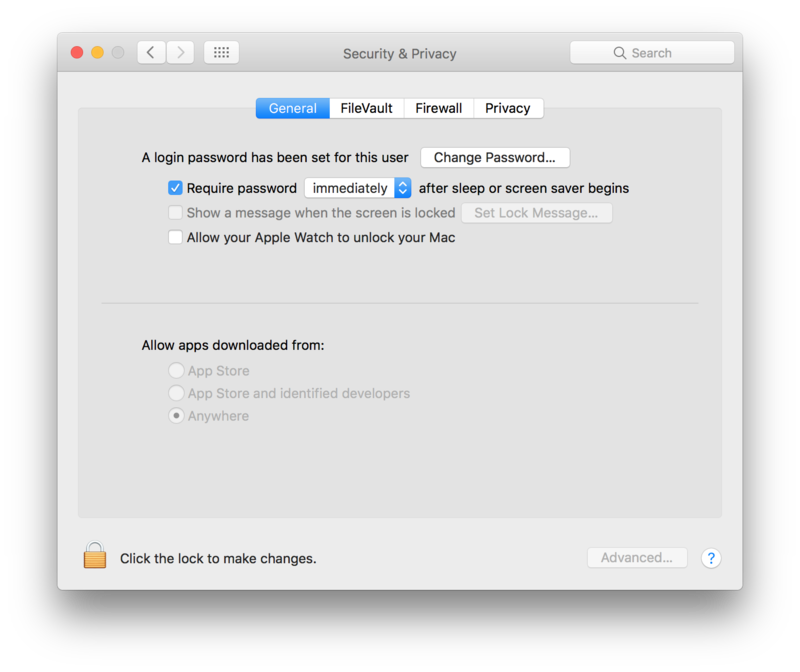 Go to System Preferences > Security and Privacy. Click the General tab, then check Require Password immediately after sleep or screen saver begins. (You may need to select "immediately" in the menu.) 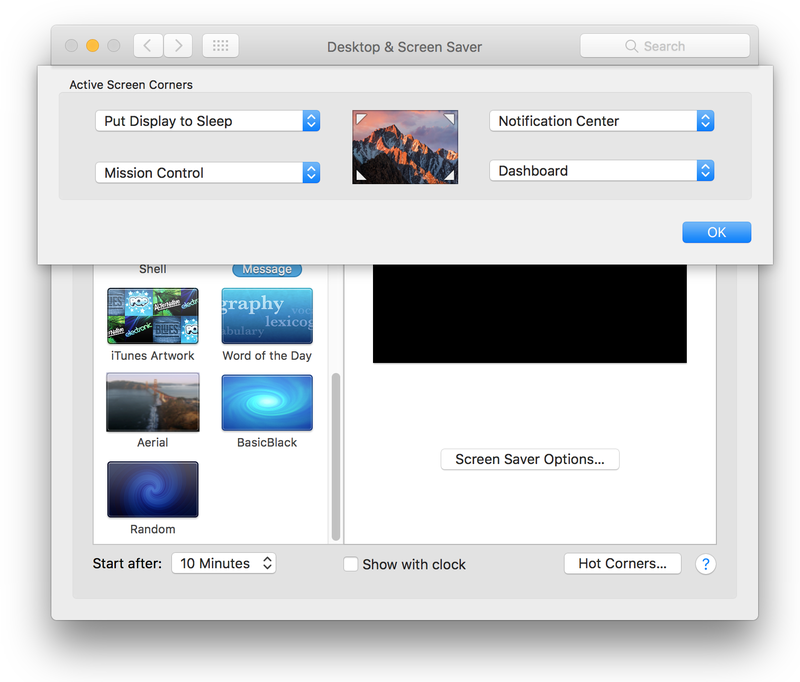 This setting applies when the Mac goes to sleep, when a screen saver starts, and when the screen itself turns off. There are several keyboard shortcuts that can shut off your display or put your Mac to sleep. If you press Control-Shift-Eject, the screen goes black. Now that you've adjusted the setting to require a password immediately after sleep or screen saver begins, waking it up brings up a password request, just like when you log in. Command-Option-Eject puts your Mac to sleep. Pressing a key on the keyboard, moving the mouse, or tapping or pressing the trackpad wakes it up, and presents the same password request. The difference between these two operations is that the first allows your Mac to continue running even when the screen is black. You may be downloading files, or you may have an app recording something; in either case, your Mac won't stop these actions. If you put it to sleep, however, everything stops. 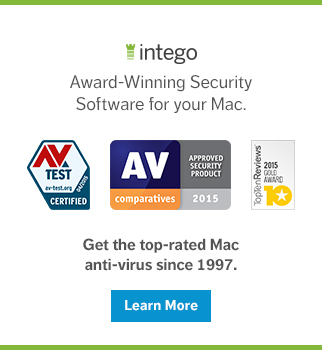 There are other ways you can protect your Mac from prying eyes, too. One of the safest is to use a screen saver. Since you've turned on the password request setting in the Security & Privacy settings, any time a screen saver becomes active, you'll need a password to get past it. 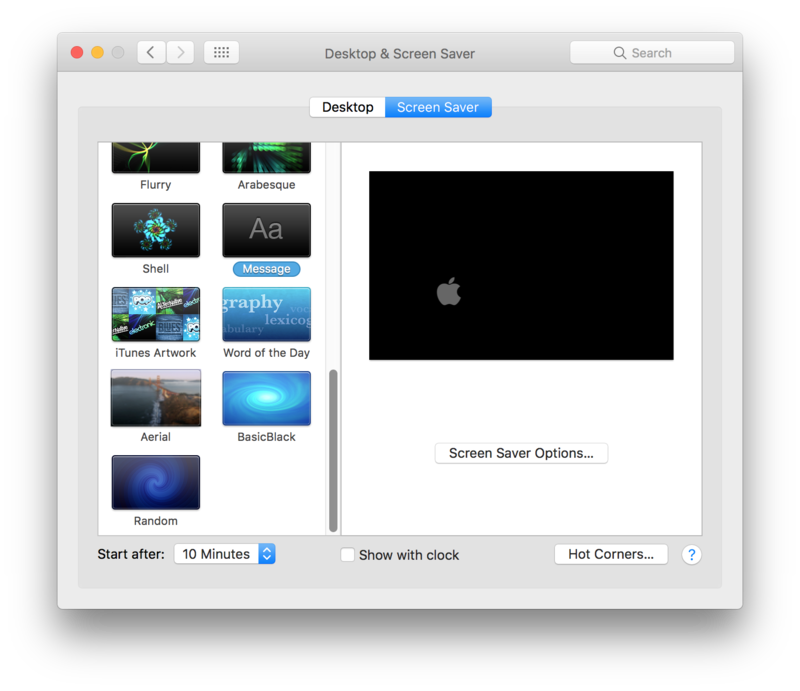 It's a good idea to use a screen saver, since it will automatically activate after a few minutes, protecting your Mac if you've forgotten to lock it. You can choose any screen saver in the Desktop & Screen Saver preference pane. I use the Message screen saver, which displays an Apple logo and a message on a black background. If you click Screen Saver Options, you can set the message; I just typed a blank space there, so I see nothing other than the Apple logo, but you can add any message you want. I've set mine to start after 10 minutes, because I'm often working on something in front of my computer without necessarily typing or moving the cursor, and I've found that sometimes the screen saver would trigger when I don't want it to if it's set to just 5 minutes. Try with different times to see what works without being annoying. The easiest way I've found to lock a Mac screen is by using a hot corner in conjunction with the screen saver. Hot corners trigger actions when you move your cursor to one of the four corners of the display. As you can see above, the Hot Corners button is at the bottom right of the preference pane. Click that to see hot corner options. I've set the top left corner of my screen to Put Display to Sleep. This means that when I move my cursor to that corner, the display goes dark. So I can lock the screen with a quick swipe, and don't even need to use the keyboard. No matter which method you choose, it's a good idea to think of locking your screen when you're away from your Mac. Even if you're alone, you should get into the habit of doing this so it becomes a reflex. 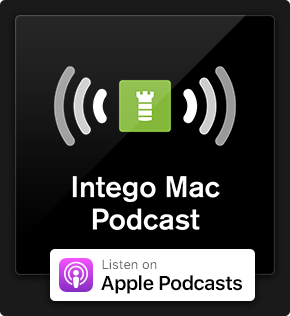 For even more ways to protect your Mac and improve your security and privacy, check out these 15 Mac-hardening security tips from Intego to keep you safe from prying eyes. This entry was posted in How To, Security & Privacy and tagged Lock Mac Screen, passwords. Bookmark the permalink.